What a great community company - when they learned about the Habitat build in Stayner, they jumped in immediately to offer all the supplies, including installation, to complete the roof for both houses being built on Quebec Street. They donated the materials and labour to help us keep costs low so that lower-income families could realize the strength and stability that comes from affordable home ownership. On bitter cold days in January, their team completed all the roofing and left the site spotless. 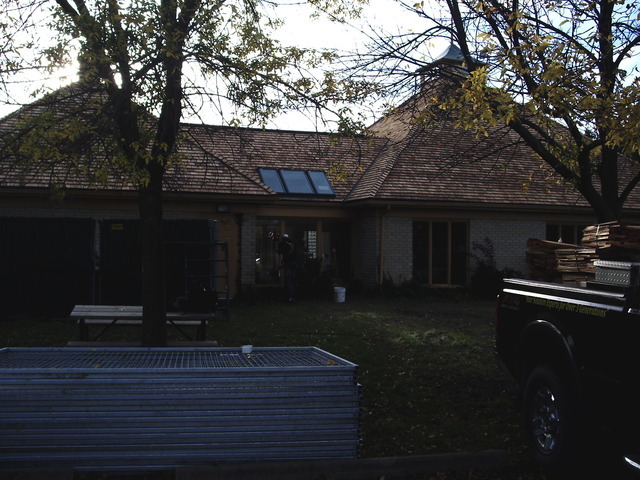 They were professional and efficient and we were thrilled with the final product... the roofs will keep our future homeowners safe from harsh Canadian weather for many years to come - thank you AM Roofing for your wonderful generosity!! Thank you very much for the kind words. We are proud to partner up with habitat for humanity and help people in our community! Everyone was very friendly, informative and a pleasure to work with. They made sure to explain the entire process, they fully cleaned up afterward and made sure I was involved along the way. Great company, great employees! Update: Thanks for the response, but Jeff is well aware of this and was involved many times through the painful process. I don't appreciate the pre-canned response. We were very disappointed with our service from AM Roofing. The team that came to install our new roof was very unprofessional. They worked until 9pm, and didn’t clean up after the job. We had to wait three days until they returned to clean up. They left the job partially done. 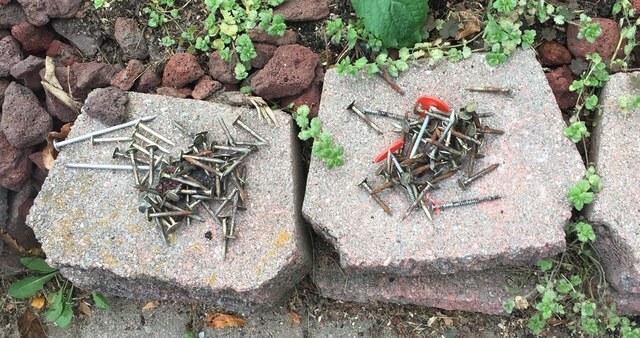 We had our eaves disconnected for 1 week and I had to clean up the nails so my kids weren’t injured. I collected over 100 nails from the yard. Also cigarette butts, candy wrappers. It took several return visits for everything to be done properly, which took two weeks, and no price concession was offered. I would not recommend AM roofing. A great sales job, bad follow through. If you do choose this company ensure the people doing the job show up in AM roofing trucks, not a sub contractor. The difference was night and day when the logo was on the truck. The pictures below were how the job was left as complete, and what we had to wait 2 weeks to be fixed. Hi Jeff, we are very sorry to hear you weren't satisfied with the job. Customer satisfaction is our priority! Can you please provide some additional information about your project by email so we can follow up and investigate further? Please email to jeffw@amgoc.ca. 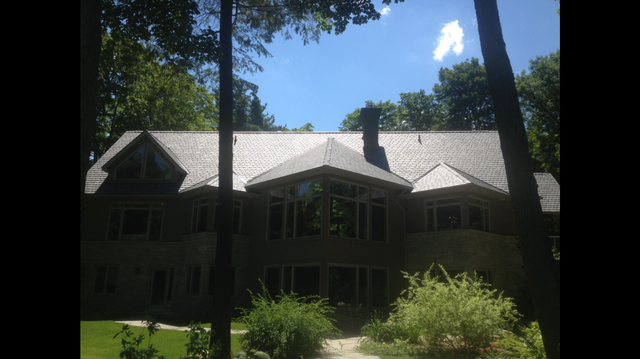 The roof was replaced with quality materials by friendly employees and they did a great job cleaning up! Kyle came out and gave me a quote for the roof. He was professional and personable. He explained all of the details that went into doing my roof in a way I could understand. He also checked inside my attic to make sure I had enough insulation. I felt very comfortable asking questions. Thank you Kyle and the AM roofers for my new roof! It looks awesome! Fantastic company to do business with! Job was done on time. Every company we got quotes from was just giving us the cheapest price. 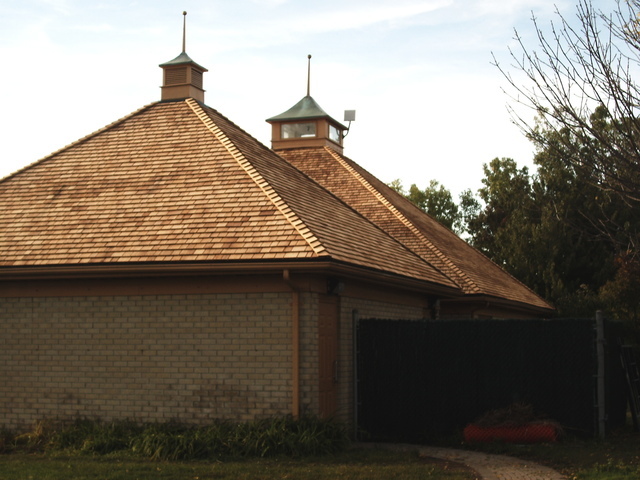 We specifically wanted a roof that would last us a lifetime. Ben came out and gave us 6 different quotes to fit our idea and budget. Fantastic young man. 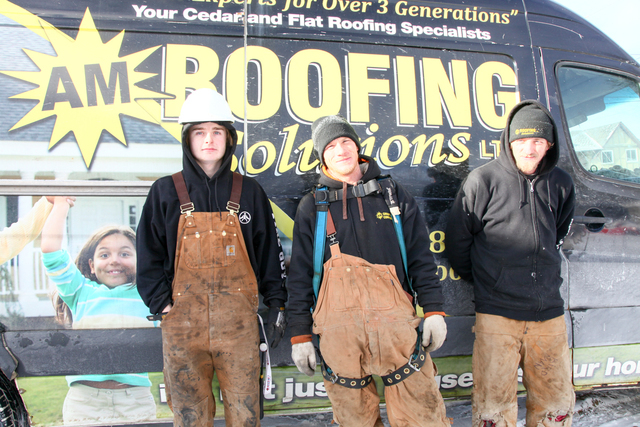 The crew did our entire roof in one day and the rest was history! Thanks AM Roofing! Rob and Zach came out in the middle of a snow storm to take a look at fixing some insulation deficiencies. Awesome service! Troy came & inspected our attic & recommended removal of cellulose & decongest the attic. 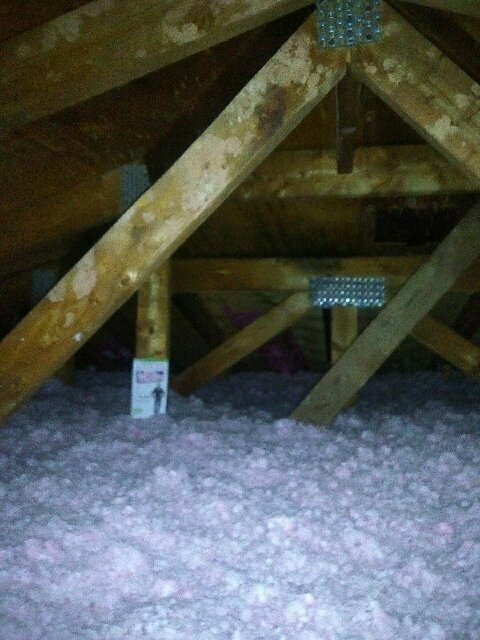 We removed all previous insulation, replaced the Moore vents & reinsulated the attic to current code. We have experienced a reduction in gas consumption & feel warmer. Crew did an excellent job. Thanks Troy for your recommendations. Fascia, soffit, attic insulation and re shingle roof. 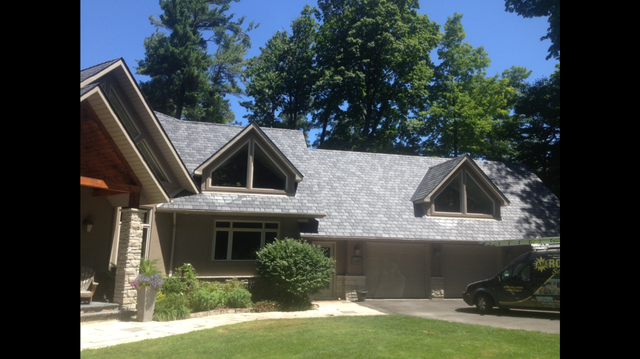 I had AM redo our roof along with new fascia, soffit eavestrough and topped up our attic insulation. All the employees were very nice and approachable. Had no issues explaining the work that they were doing and took feedback and adjusted to what I wanted. If you need any home renovations done call AM and ask for Ian. When I had called them they came in very quick and were very professional and knew exactly what to do and how to help me. I would definitely use them again. AM Group of Companies has been in operation since 1956 and is a 3rd generation family business. We stand behind our work with one of the best warranties in the business, 10 years. This is only possible as a result of three things: the use of premium products, good workmanship and careful inspection of completed work. 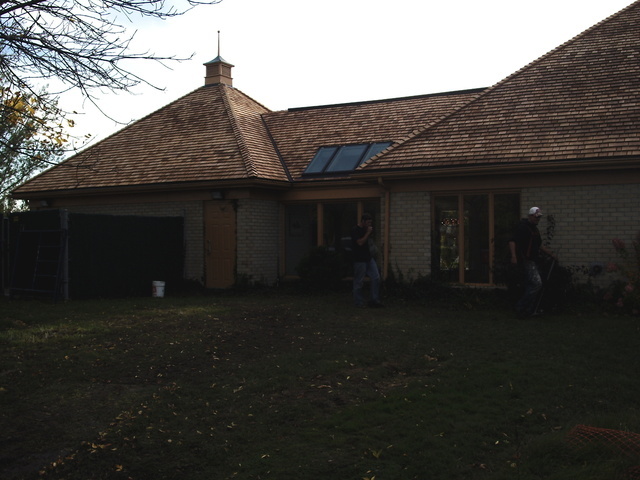 AM Group of Companies hires only skilled workers who are regularly educated on installation methods and new materials. Our corporate education programs apply to all facets of the business. Proudly situated in Guelph, London, Owen Sound, Gravenhurst and Collingwood, our size and office geography allow us to deliver corporate-grade professionalism while maintaining top rate local customer service. 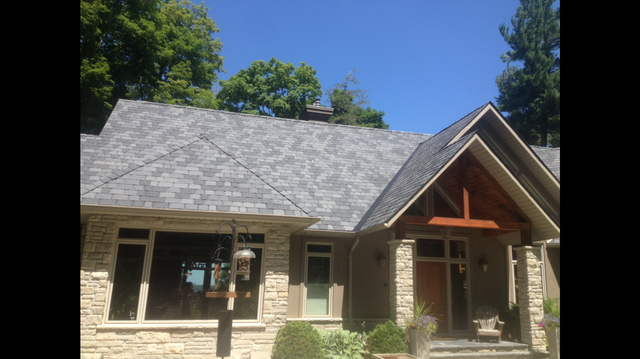 Fiberglass Shingles, Metal Roof, Flat Roof, Cedar Shakes & Shingles, Composite Roofing, Inspire, Owens Corning, Enviroshake.